Panasonic is excited to announce the AG-DVX200PJ, the first in a new generation of multi-format 4K/UHD, HD and SD camcorders. Designed from the ground up as a large format camera system, the AG-DVX200 provides that all-important aesthetic of shallow depth of field / selective focus, yet the integrated 13X zoom allows for easy control over image framing, as well as the ability to track your subject even in fast action. 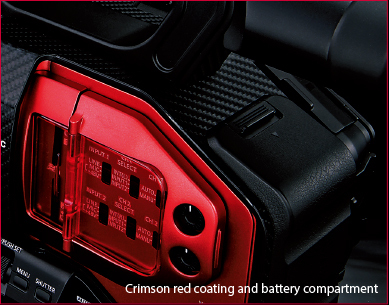 Following in the footsteps of the breakthrough AG-DVX100, the new AG-DVX200 debuts as the world’s first*1 4/3-type large format, 4K/60p*2 camcorder to feature an integrated zoom lens. *2: UHD (3840×2160) resolution, when 60p mode is selected. 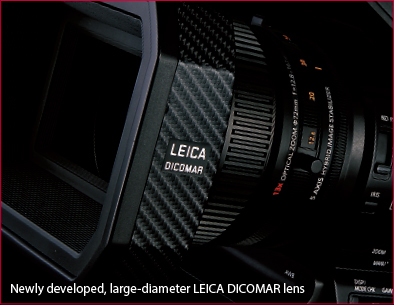 3 rings for independent Zoom, Focus, Iris control, mechanical zoom. 4.3 inch touch screen type LCD (Approx. 2.76 Mil dots). 0.39 inch high quality OLED viewfinder (Approx. 1.77 Mil dots). Supports 4K, FHD and SD recording*4 on to SD memory card*5. *1: When 60p, resolution is UHD(3840 x 2160). *2: IR illuminator is required separately. *3: 2.5mm super mini jack x1 for ZOOM, S/S and 3.5mmmini jack x1 for FOCUS, IRIS. *4: Recording format is 4K(MP4/MOV), FHD(AVCHD/MP4/MOV), SD(AVCHD). *5: Use SDXC/SDHC Memory Card compatible with UHS Speed Class 3 (U3) when using high bitrate video recording mode of 100 Mbps or greater.